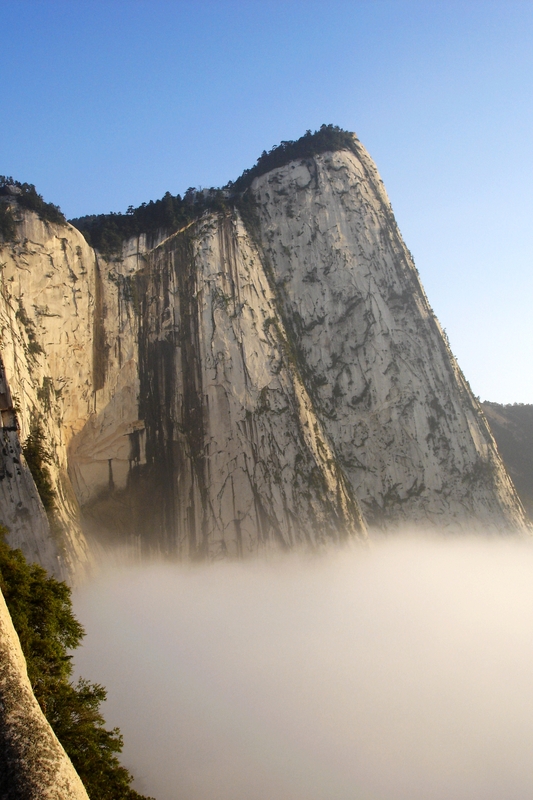 China’s Mount Hua, or Hua Shan, is one of the Five Sacred Daoist Mountains located in the country. 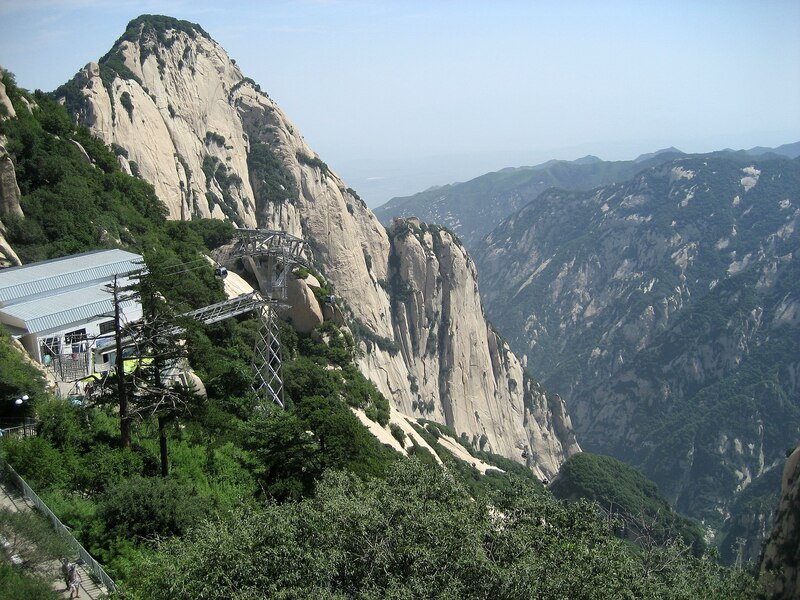 Mount Hua has five main peaks, with the 2160m (7086ft) tall South Peak being the highest. 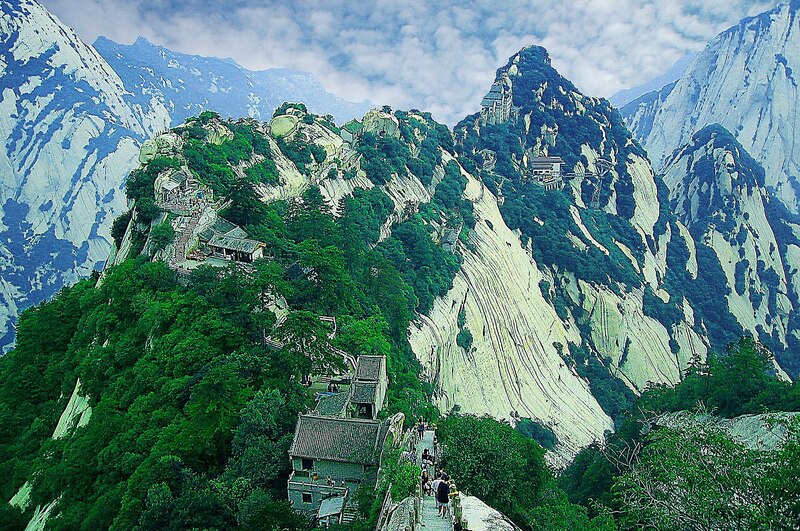 Hua Shan, literally Splendid Mountain, has been home to Daoist temples as far back as the second century BCE. Today, it is popular with monks and tourists alike, though tourists have only been visiting the mountain for a few decades. 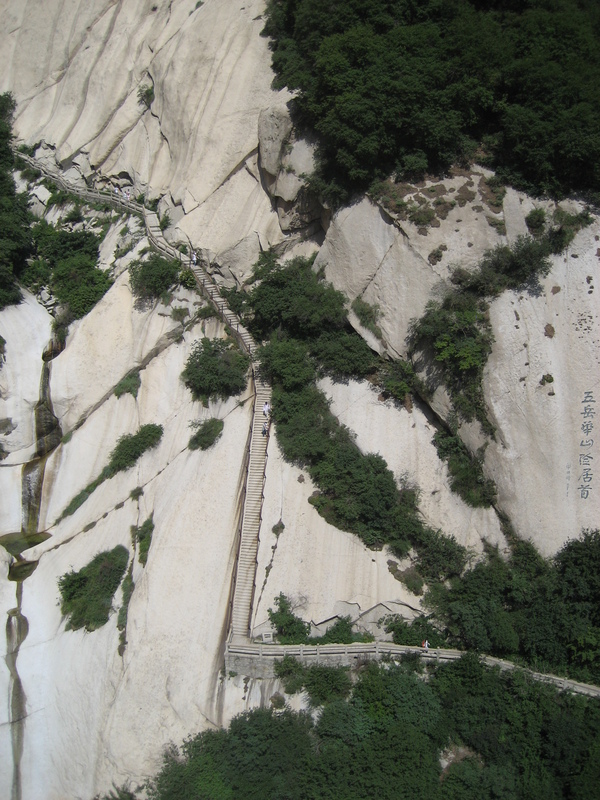 Traditionally, a journey up Mount Hua’s dangerous steep and narrow pathways was reserved only for the most determined monks. 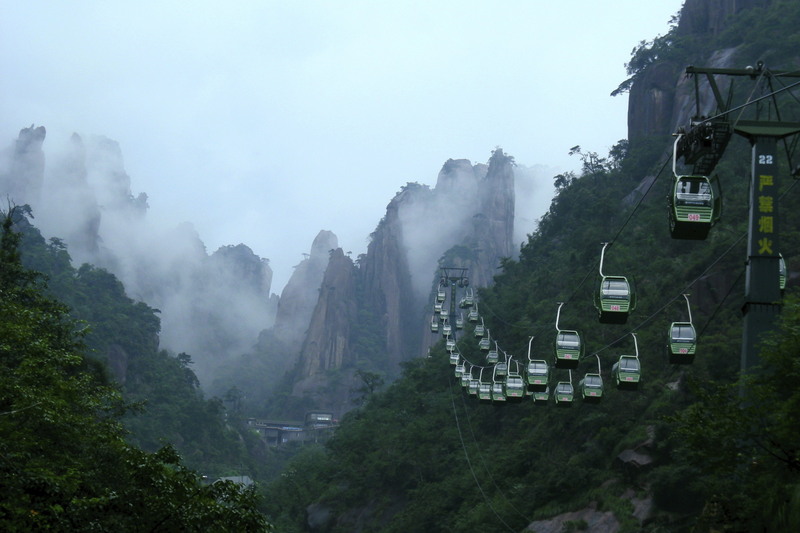 But in the 1990s cable cars, pictured above, and handrails were installed to allow easier access for tourists. Hua Shan is located roughly 100km East of the city of Xi’an in China’s Shaanxi Province. Wow, it looks beautiful and so high. Would love to be in one of those cable cars.